One of my favorite cosplayers contacted me yesterday and asked if we could do a quick shoot. She was debuting a new Princess Leia cosplay at a special event earlier in the morning and was wondering if I had some time to take some photos. Luckily, I had some open time and we were able to get together. 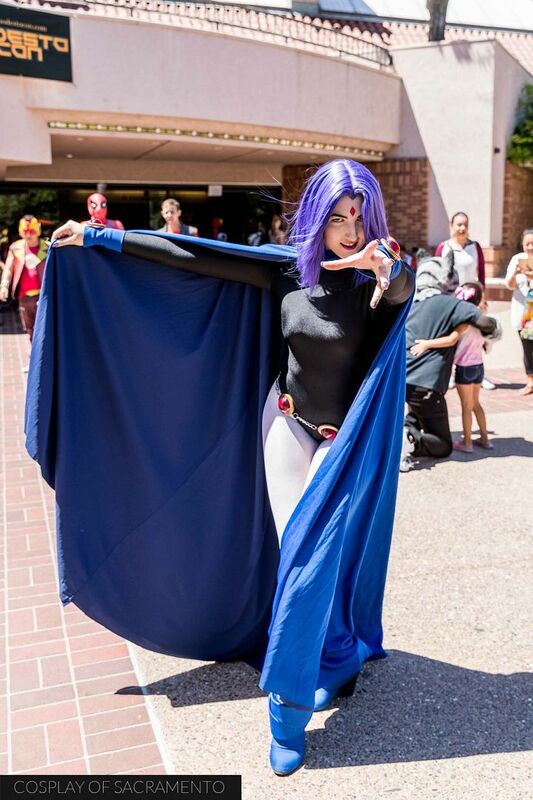 If you don't know, November Cosplay (aka Carla) always has the most beautiful cosplays of iconic characters. 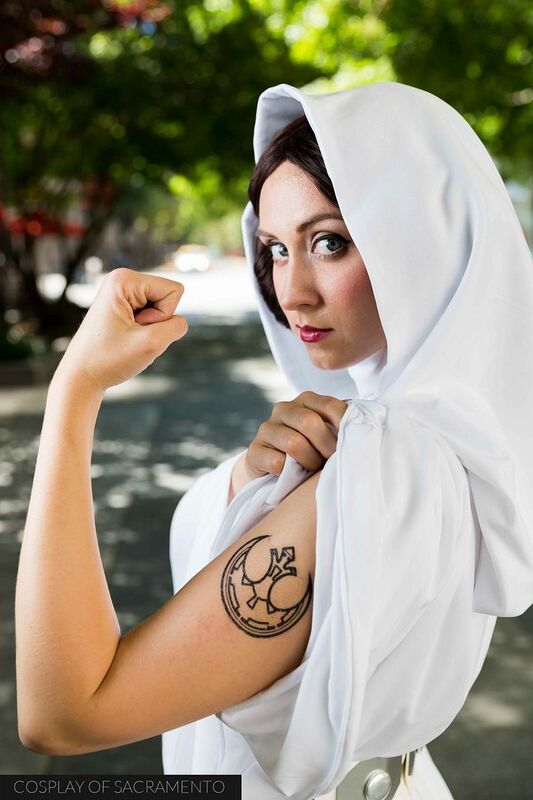 Her Disney and Star Wars (which I guess is Disney too) inspired cosplays are spot on and a sight to behold. In fact, they always attract attention whenever we do shoots. People just seem to be drawn to them! We shot in downtown Sacramento near the main convention center. It was an extremely hot day to shoot, but the heat and weather isn't something you can control so we just had to accept the un-ideal shooting conditions. I was wearing short sleeves and a shirt, and I was sweating and hot. Carla was the trooper though as she had all the components of her cosplay on in this crazy hot day. She had some magnificent poses and channeled Leia perfectly. We were able to capture some great images today even though we only shot in two basic locations. For this shoot I used a simple set-up. It was just a speed light in a softbox triggered wirelessly by the camera. This set-up has been working really well and giving me well-lit subjects with satisfying results. If you are not following @novembercosplay on Instagram, do yourself a favor and check out her images there. It'd be wise to give her a follow! I also have a few pics of this shoot up on my own account @cosplay_of_sacramento. If you're interested in seeing all the photos from our little mini shoot there is a link for you below. As it's the summer, I have free time to shoot cosplay! Let me know if you'd like to get together with me for a shoot of your own. I'd love to talk with you about your cosplay and get a gallery of you up on my page. Let's shoot! 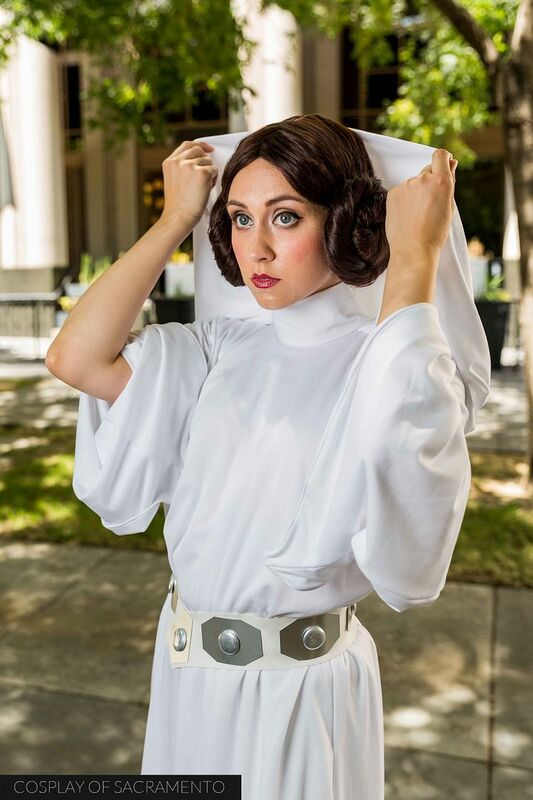 Here's the mini gallery of the Princess Leia shoot, CLICK HERE. 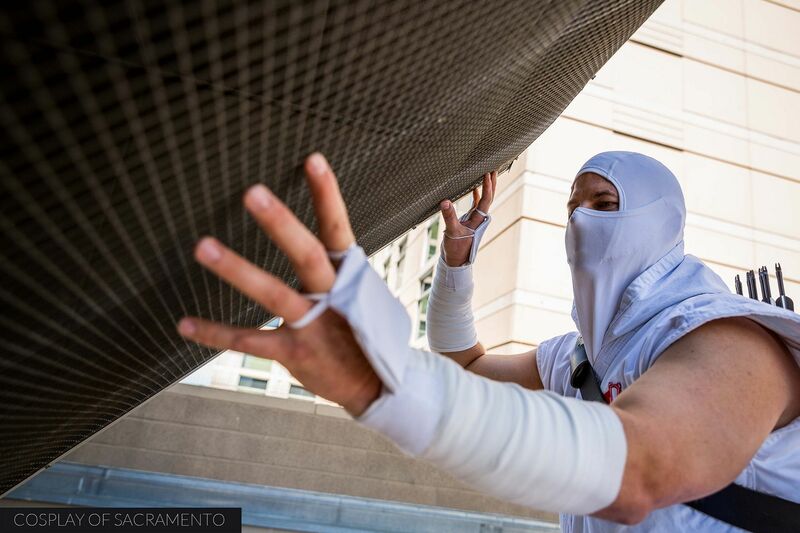 Daren contacted me via my Facebook page to get some shots of his Storm Shadow cosplay. I jumped at this chance as I absolutely love GI Joe and don't see cosplay of it often enough. In fact, it's pretty rare to see GI Joe cosplay at all, so I was totally stoked for this opportunity. Daren suggested that we meet up at the top level of a parking garage. This offered a great view of the tall buildings around Sacramento as well as some interiors to use as backgrounds. Being on Sunday, the lot was almost completely empty, which was great so that we didn't have to contend with people or cars moving about too much. 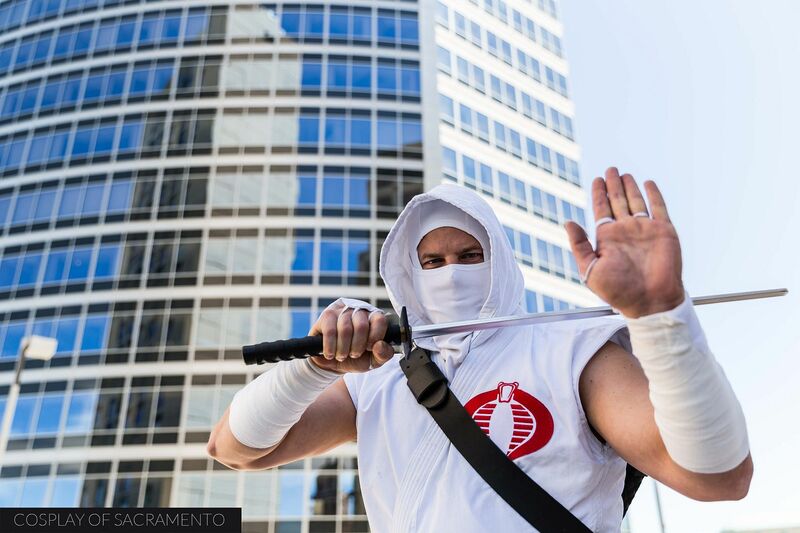 Storm Shadow is one of the most popular characters in GI Joe. He is most known as being one of the toughest agents of Cobra, GI Joe's enemy. He's a highly skilled ninja and assassin and has a rich history. Later on in his lore he leaves Cobra and joins the Joes. If you get a chance, you should check out his story as it makes for a very interesting read. 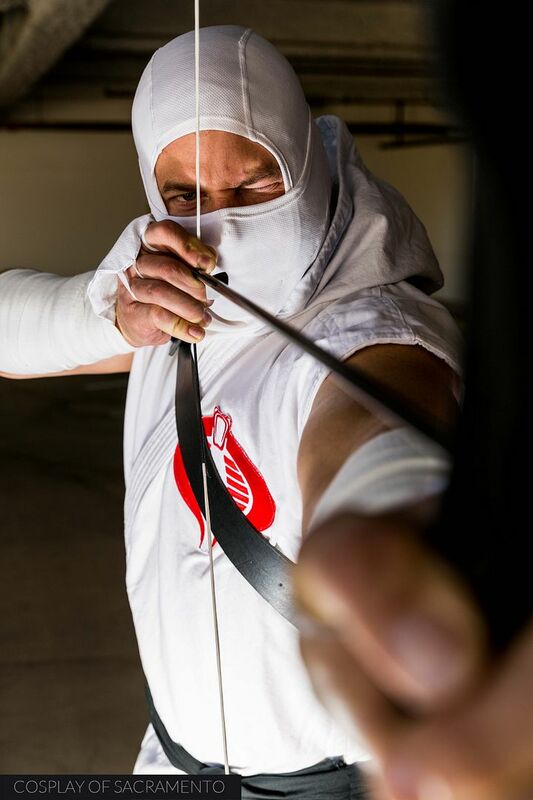 Daren really went all out with his Storm Shadow cosplay as he came equipped with swords and bow and arrows. As a ninja assassin, Storm Shadow has to find crafty ways of getting into secure locations. Here's a shot of him taking off the covers or an air vent so that he can crawl inside. Of course, we didn't actually take off these covers on our shoot, but they were perfect environmental props that were there for us to use for photos. It's always fun to look around in the spot chosen for the shoot to see if there are unique things that could be used to enhance the shoot in any way. My standard shot of a character shooting a bow and arrow is this one where I position the camera very close to the tip of the arrow and get face in focus while the hand is blurred. This angle of view usually makes for a nice looking shot of the subject. In this case, I wanted to have more dramatic lighting so I positioned an off camera flash to Daren's lower right. This filled in his body well and left his back more in shadow. 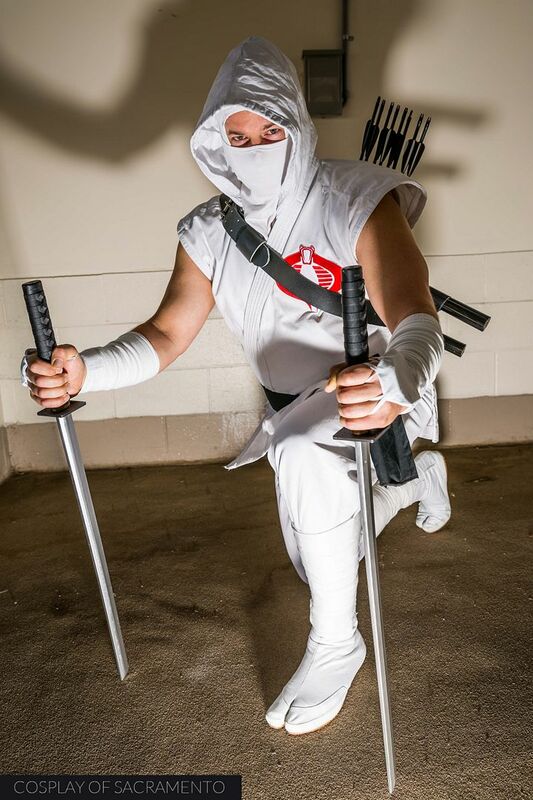 I thought this made his Storm Shadow cosplay look a bit more sinister. This lighting technique was used for much of this shoot. Again, here's Daren lit from the bottom again to create some interesting lighting for his Storm Shadow character. 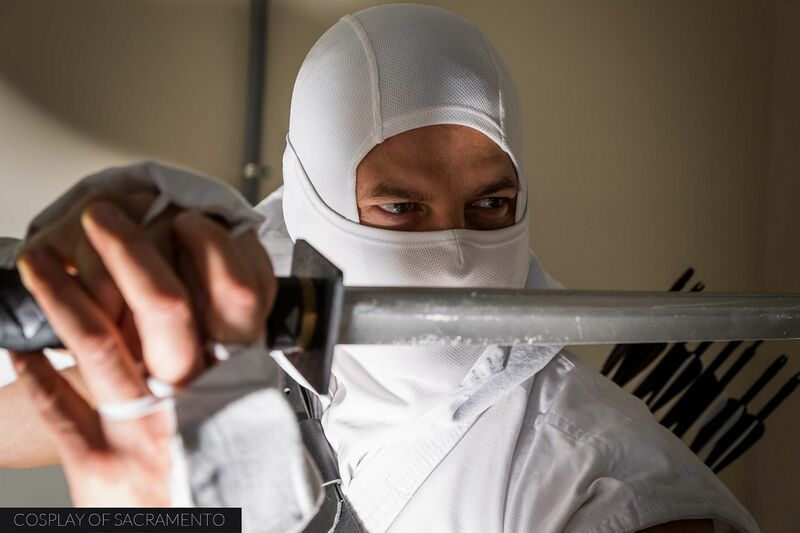 It was great fun shooting with Daren today and I'm extremely happy to add a gallery of his Storm Shadow to the Cosplay of Sacramento site. I'm always up to shoot individual cosplay photoshoots during lulls in the con season... such as now! If you're interested in doing a cosplay photoshoot, please let me know and we'll set something up! I hope to hear from you! Check out the full gallery of photos from Daren's shoot HERE. Modesto-Con took place on July 9th and 10th at the Modesto Centre Plaza in the heart of Modesto, Ca. Sadly, I would only be able to check out the first day of the con as I had prior commitments already... but I was very excited to at least experience what this event had to offer! Modesto is an hour and a half drive away from Sacramento, but it's not a bad commute at all. Traffic was light and it was a beautiful day to make a little road trip. The venue was easy to locate once in town and was a pretty sizable place for a smaller town convention. There was a large area outside for con-goers to mingle and hang out (and enjoy FREE cotton candy), and the inside had a large areas for vendors and panels. I've got to say that the people who put this con together did a really nice job as everything was organized well. Kudos to them! She wasn't going to go at first, but I was able to convince my beautiful wife to tag along with me for this con. She's new to the whole cosplay scene, but she's been getting more and more into it. 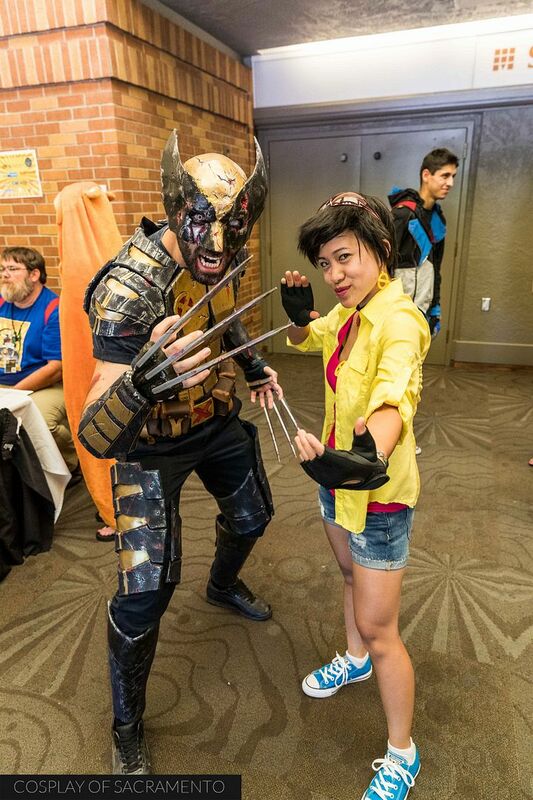 One of her easiest cosplays to get together in a pinch is Jubilee. She went with that one today and was ready to hit the con floor! Of course we practically ran to every X-man we saw in order to get some photos. Here she is with a pretty bloodied up Wolverine. There weren't a ton of X-men in attendance, but we were fortunate enough to see both Phoenix and Colossus while we were there. As I mentioned, there was a huge area just outside the main doors for everyone to hang out and get good photos. 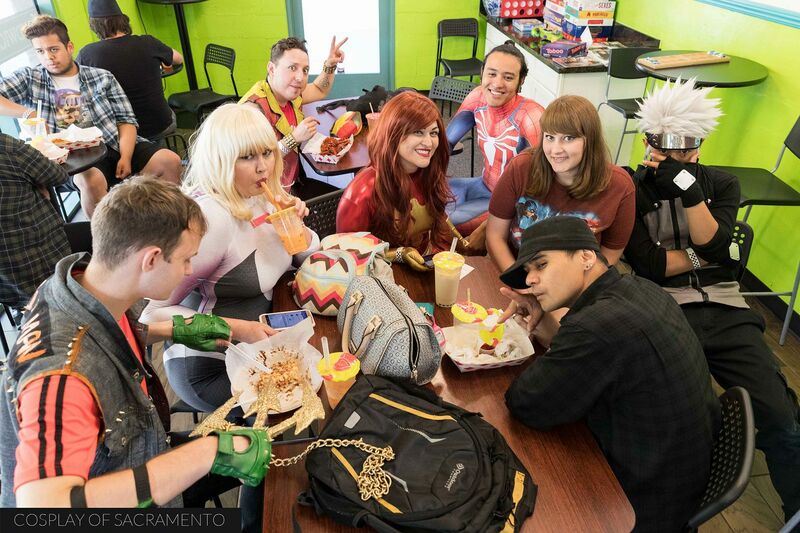 It can be hard to get great shots indoors because of poor lighting, but thankfully here at Modesto-con there was ample space to shoot photos of cosplayers in bright light. Also in this area were pools of water and trees to provide some shade. It was a really sweet set-up! One of my favorite posed shots from my time out was this one above of Raven. I didn't get a chance to do any solo/private shoots with anyone this time around so I was glad to get this one as she gave me this dynamic pose. The main highlight of the con for me was the costume contest that took place near the end of the day. 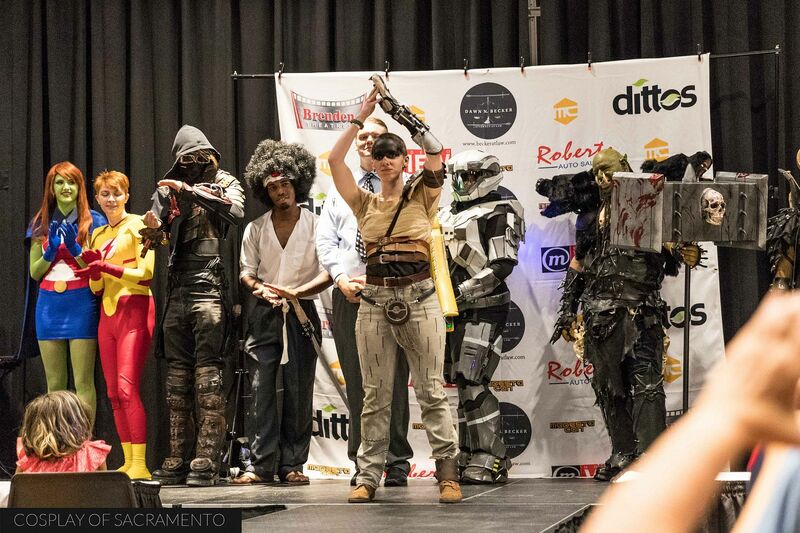 The costume contest is always an important part of any con, but this one was particularly fun as the cosplayers who participated really got into character as they went across the stage. 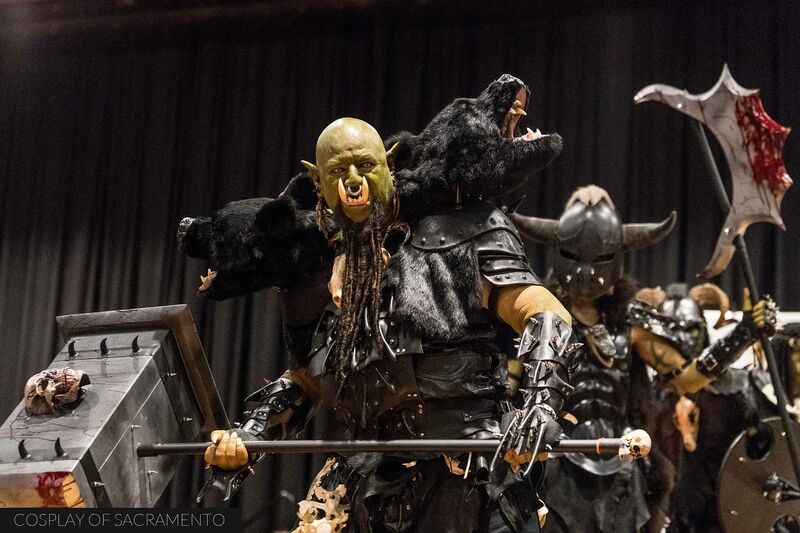 The most intricate cosplay had to be this group of Orcs from the WarCraft universe. They were a group of four and they were dressed to the nines! Each part of their cosplay was extremely detailed... and that's not even mentioning their full orc make-up and prosthetics! These guys went all out and really amazed everyone with their stunning cosplay. Kids and families got into the cosplay act quite a bit during the costume contest. There were many young kids with their parents in matching cosplay. There was certainly a lot of 'Awwwww' sounds when the really little ones came out in their costumes. We had kids dressed as Minions, Green Arrow, and this little guy above as Superman. The group winners of Modesto-con were the Orcs of WarCraft, but the individual winner of the show as this young lady as Furiosa. Furiosa is the main female character in the recent Mad Max movie. This cosplayer had a very detailed costume including a sweet prosthetic arm. She came in totally in character as she walked down the stage during the costume contest. She looked great and played the character well - congrats to her for winning! As with all cons, some of the best times are had just hanging out with friends. Here's a pic I took at a boba tea place just outside the main venue. Everyone here is just relaxing and refueling with food from an exciting day at the con. 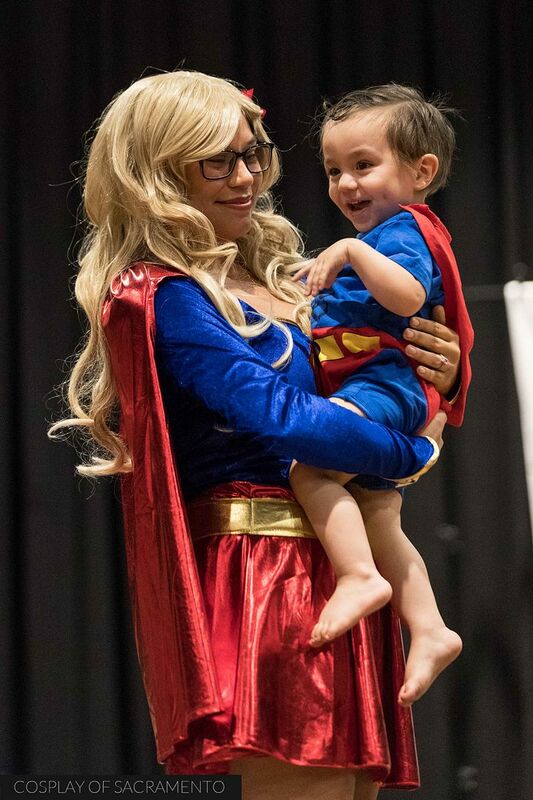 For a full gallery of photos from Modesto-con, please CLICK HERE. 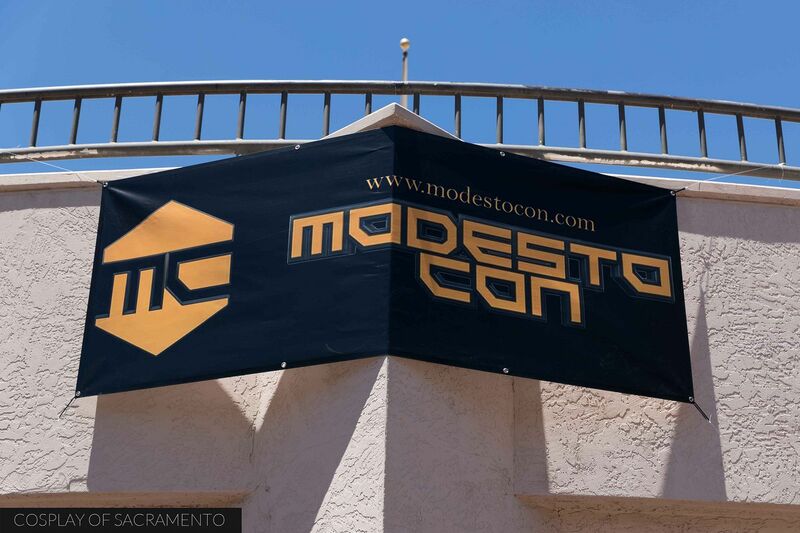 See my video of Modesto-con below as well!